Devotional Service Surpasses all Liberation Chapter - 4 (Those eligible to practice pure devotional service reject bhukti & mukti ) 1. 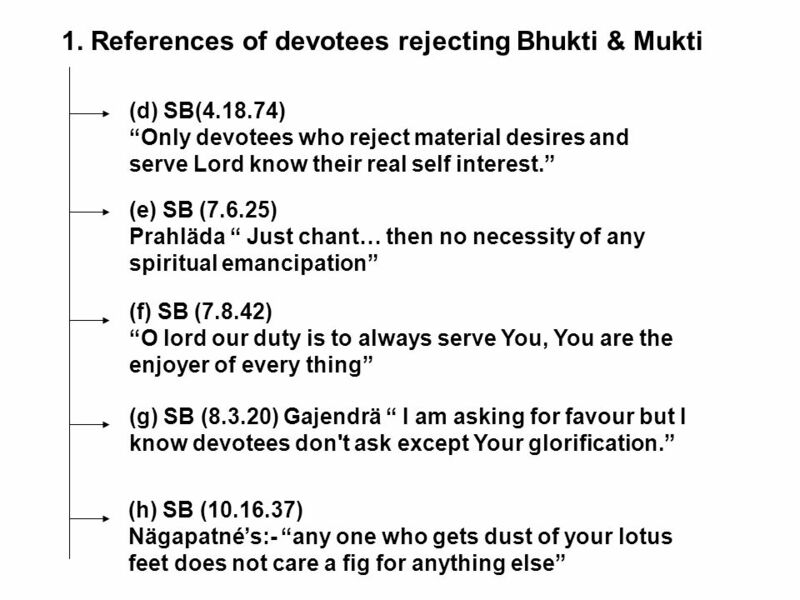 References of devotees. 1 Devotional Service Surpasses all Liberation Chapter - 4 (Those eligible to practice pure devotional service reject bhukti & mukti ) 1. 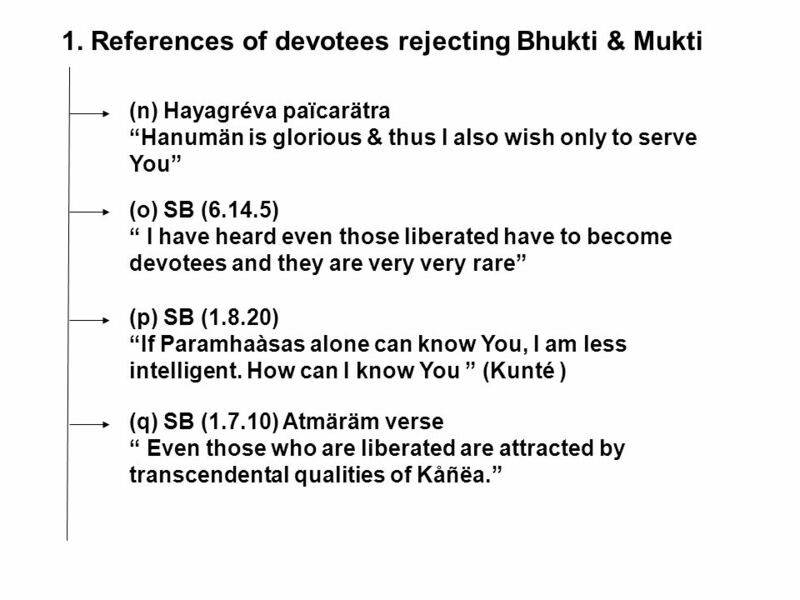 References of devotees rejecting Bhukti & Mukti 2. 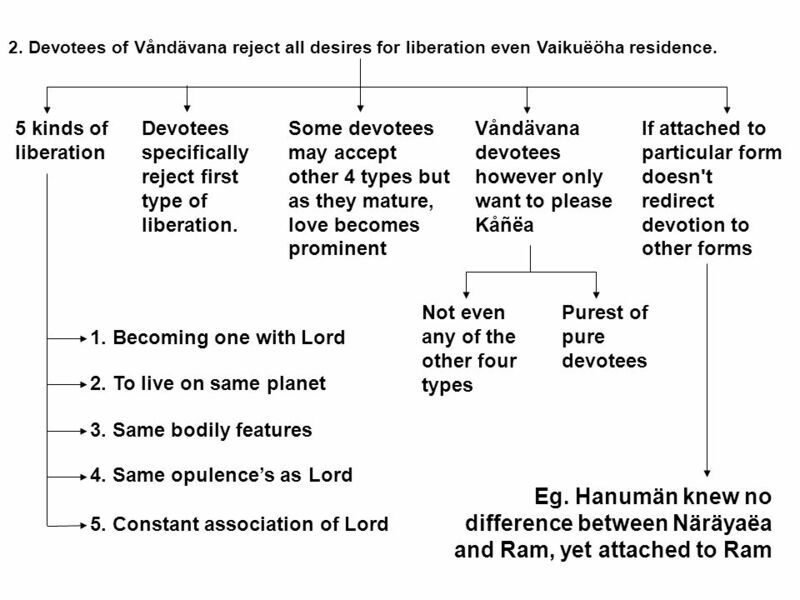 Devotees of V åndävan reject all desires for liberation even Vaikuëöha residence. (a) Prithu Mahäräja (4.20-24) Please give me millions of tongues & ears …I will never ask for emancipation. (b) SB(5.14.44) Bharat Mahäräja easily gave up all comforts & did not accept Lakñméjés offers. (c) SB(6.11.25) I may get heaven or other promotions, but I only want your association & service. 4 1. References of devotees rejecting Bhukti & Mukti (n) Hayagréva païcarätra Hanumän is glorious & thus I also wish only to serve You (o) SB (6.14.5) I have heard even those liberated have to become devotees and they are very very rare (p) SB (1.8.20) If Paramhaàsas alone can know You, I am less intelligent. How can I know You (Kunté ) (q) SB (1.7.10) Atmäräm verse Even those who are liberated are attracted by transcendental qualities of Kåñëa. 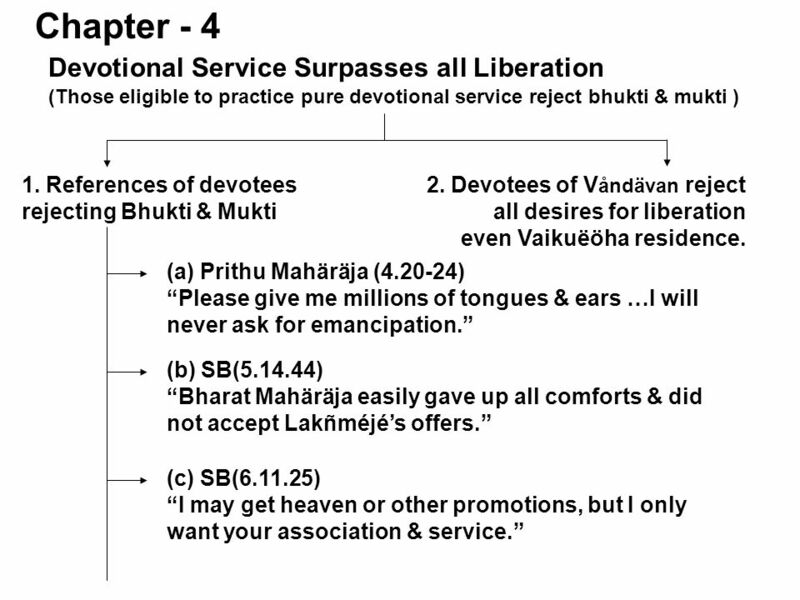 Download ppt "Devotional Service Surpasses all Liberation Chapter - 4 (Those eligible to practice pure devotional service reject bhukti & mukti ) 1. 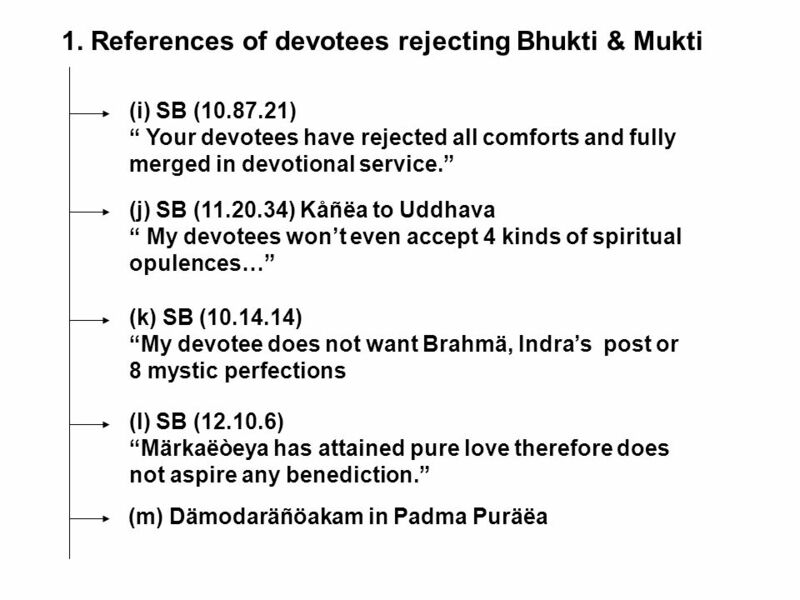 References of devotees."